The Hospitality Cluster is a dynamic, rapidly expanding arm of Seacare Co-operative that acquires and invests in hotels through its global subsidiaries and associate companies. It draws upon an understanding of the global hospitality trends and market knowledge by proactively discussing potential hotel acquisitions with cross-border partners that specialise in these markets. The cluster currently boosts a portfolio of 8 hotels in Singapore, Malaysia and the UK with a total of 614 rooms. 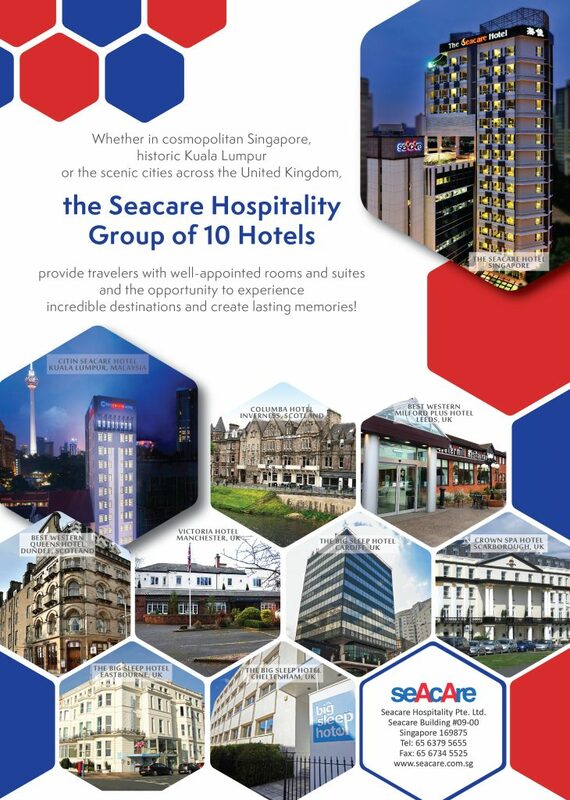 Its regional flagship, The Seacare Hotel, which is managed by Seacare Hospitality Pte Ltd, was launched in Singapore in 2013. It was followed by the launch of the Citin Seacare Hotel in Kuala Lumpur by SP K2 Hospitality Sdn Bhd in 2014. Since 2015, the Hospitality cluster has been strengthening its positioning in the UK market through Seacare Hospitality (UK) Limited. The Citrus Hotels’ portfolio of three hotels in Cardiff, Cheltenham and Eastbourne were acquired through Compass Hospitality Holdings (UK) Limited in the said year. In February 2016, The Victoria Hotel in Manchester was bought over by Seacare Compass Manchester Limited. The cluster continued to strengthen its presence in the UK with a full acquisition of the Columba Hotel in Inverness, Scotland by Seacare Inverness Limited in May 2016 and the Best Western Plus Milford Hotel in Leeds by Seacare Leeds Limited in September 2016. In September 2017, Seacare acquired the award-winning, 4-star Crown Spa Hotel in Scarborough. In October 2017, it acquired the 3-star Best Western Queen’s Hotel, Dundee, Scotland, making it its 8th hotel acquisition in UK till date. Every asset in our hotel portfolio presents an opportunity for growth, as we work to ensure a healthy and sustainable return of investment for our shareholders.